Scientist who was willing to take a risk. Went by the book the book, even if he did circumvent the book he knew how to do it within a frame work of integrity. Non IIT-ian. Maybe that is why he retained his creative energy. Someday I plan to read his book. It might give an insight to the man who’s emerged from the shadow of Vikram Sarabhai to become a inspiration to a generation of Indian youth. 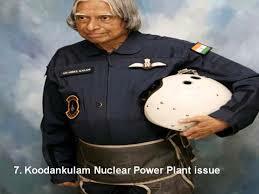 The missile man of India. I remember somebody predicting India will go into a stupor then a bachelor from south will come in and change the direction of things. After which another bachelor again supposedly from the south would lead the country to great heights. We used to laugh over it, and we had these pathetic jokes going around too. found a way out, they just stopped putting up the file that would not go their way. In his book India 2020 he talks of the strength of the country, how with proper coordinated functioning we could deal with food, economic and national security. he has identified five areas where India has core competence for integrated action. Self reliance in critical technology. To this his spiritual mentor Pramukh Swami suggested adding a sixth area that is developing god and spirituality would help to overcome the current climate of negativity and move on. Next PostNext creating a serene home to invite comfort.